It's been non-stop these past five days with my brother in town. It's been a lot of fun, but we've been gone a large portion of each day and I've found myself trying to cram what I normally do during the day into the hours between 9-midnight! They left early this morning, but I had a church event this afternoon and didn't get home until five. And I get to start all over again tomorrow, taking my mom in for a stress test at 7:45am! I'm not whining... really... and I know for many of you, especially those with children, I just described your normal week, month, year, life. For me, it was a tad busier than I normally like. I was checking things off my list (between the hours of 9-midnight. Did I mention that?) But didn't really feel like I was giving them the attention they deserved. Some versions say, "tomorrow has enough trouble of its own." Ha! How true is that! Either way, the message is the same and I'm so very thankful that God's mercies are new every morning. What I need to remember is that: they are just what I need for that day. Not for the next five or ten, or twenty days. Notice the "so" at the beginning of the verse? When you see that, its good practice to ask "so what?" and look to the previous verse for the answer. 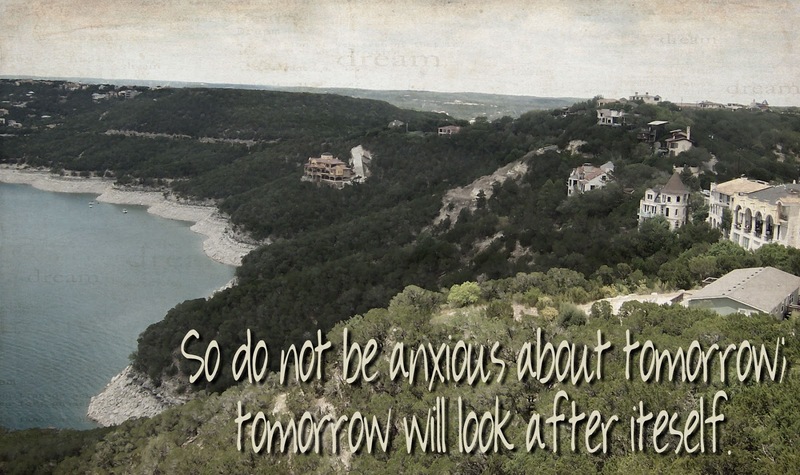 So, it is because of this promise that we are not to be anxious for tomorrow. I don't know about you, but it is when I'm anxious about "all the rest" that I get stressed, hurried and start to make bad choices. I need to remember His promise: That when I focus on Him, He'll take care of everything else. Is this what you needed to hear as we begin a new week? 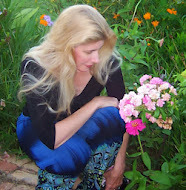 What promises help you through busy or stressful times? I'd love to hear. Patience. Waiting. Trust. Faith. Hope. These are all the things I constantly ponder when I'm anxious. Great post! Your post helped me to remember that the Lord has this day in His hands and I have no need to be anxious. Excellent reminder! I find myself worrying a lot but I need to listen to God and focus on Him instead. Thanks for sharing! A favorite verse...and I like how you dig deeply into it. I feel rested just reading this!